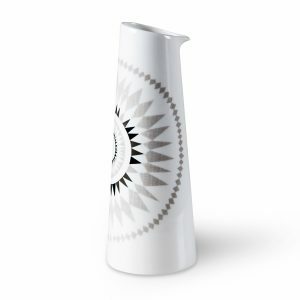 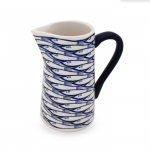 The small jug from the ‘Midnattssol’ range is designed by Sandra Isaksson. 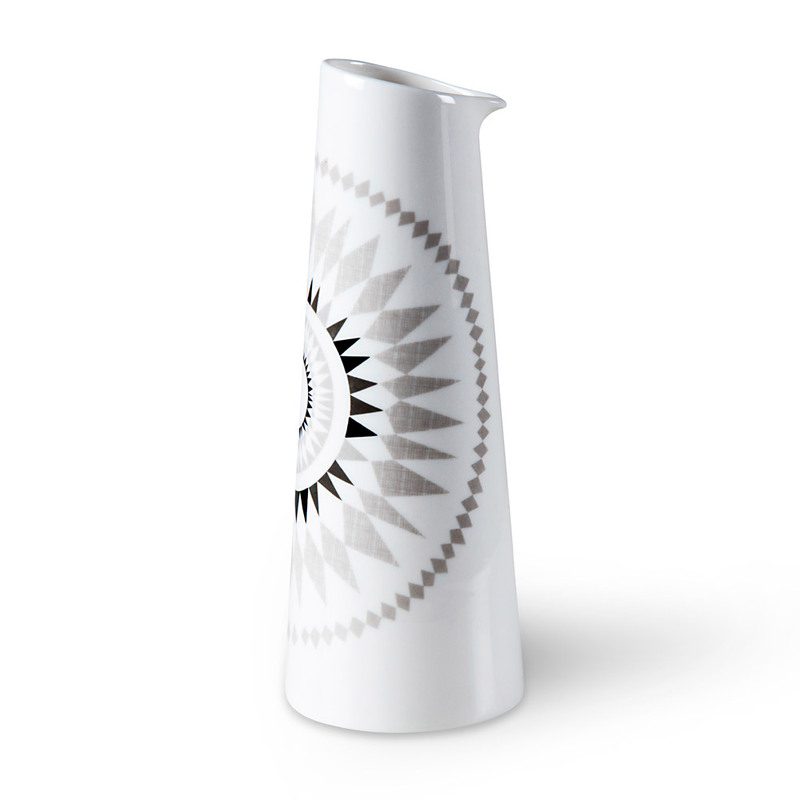 The small jug from the ‘Midnattssol’ range is designed by Sandra Isaksson. 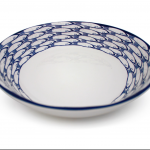 The monochromatic and geometric design creates a striking and bold pattern to liven any kitchen environment. 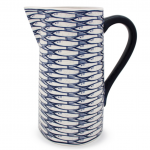 Inspired by the Scandinavian heritage, the colour scheme was chosen to reflect the seasonal changes and shifting of light/darkness.